Us northerners are still stuck in the depths of this very long and cold winter, but it doesn’t mean we can’t dream of a nice spring day. 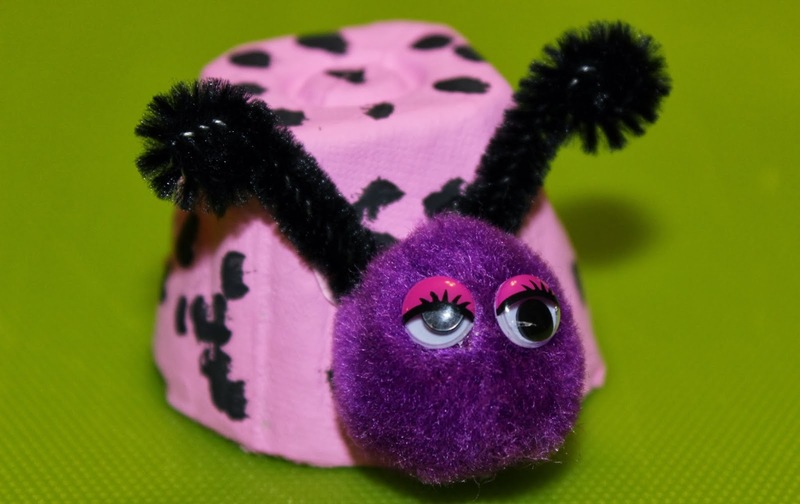 Today was the first project of March: Egg Carton Ladybugs, inspired by this pin. 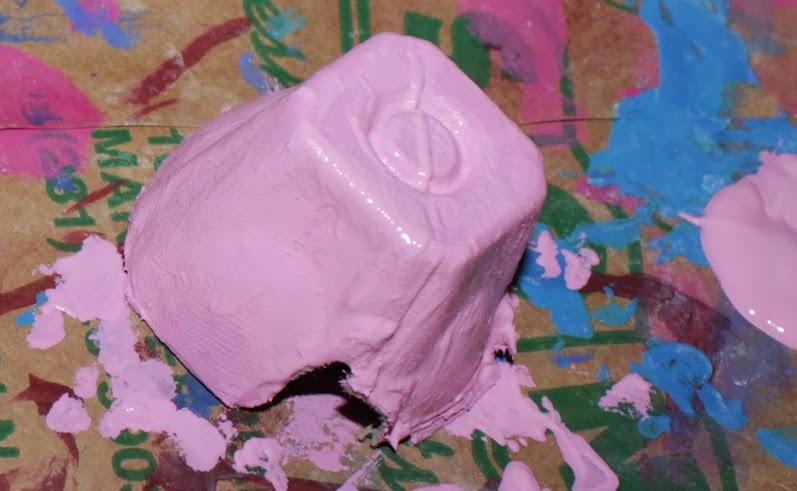 This one the kids can definitely get involved in; the only parts mine didn’t do were cutting up the egg carton and gluing at the end (because I got frustrated with school glue and used hot glue instead). 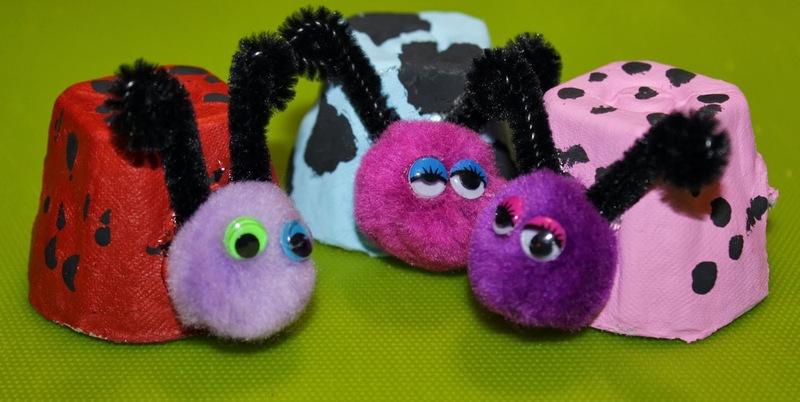 You’ll need some egg carton cups (I used both scissors and an Exacto knife to cut mine out), paint (at least one bright color and black) and paint brushes, pompoms, chenille stems and googly eyes. How you want to glue it is your choice: I tried to use school glue but it wouldn’t keep for me, so I opted for hot glue, though that was a bit messier. Once you have your egg cups, one layer of paint on the exterior should suffice. Let it sit a while to dry! Next add your black spots and do touch-ups as necessary. I opted for large black spots while my kids both did smaller spots. Let it sit to dry again. Tomorrow’s project is Angel Bites!